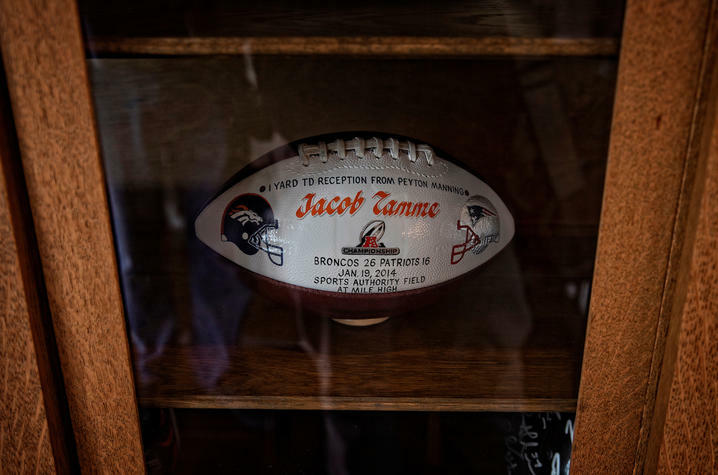 LEXINGTON, Ky. (Sept. 24, 2018) — After spending nine seasons in Indianapolis, Denver and Atlanta as a tight end in the National Football League (NFL), former University of Kentucky football star Jacob Tamme decided to take on a new challenge — building and running a farm on his family’s land in Boyle County. But it’s not just any farm. 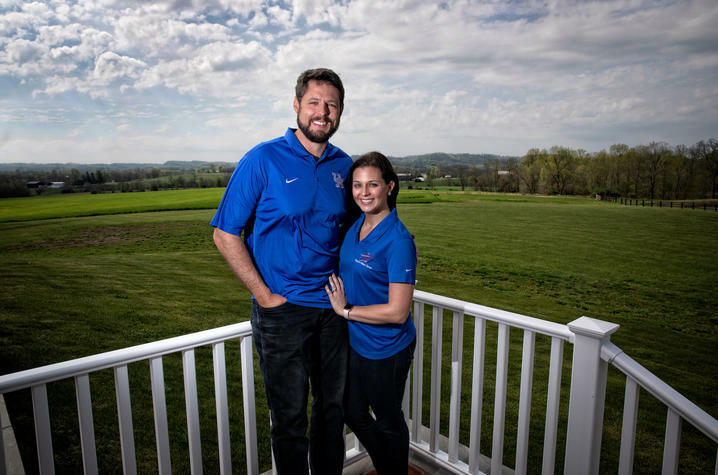 He and his wife, Allison Tamme, are building a registered Angus cattle operation from the ground up. 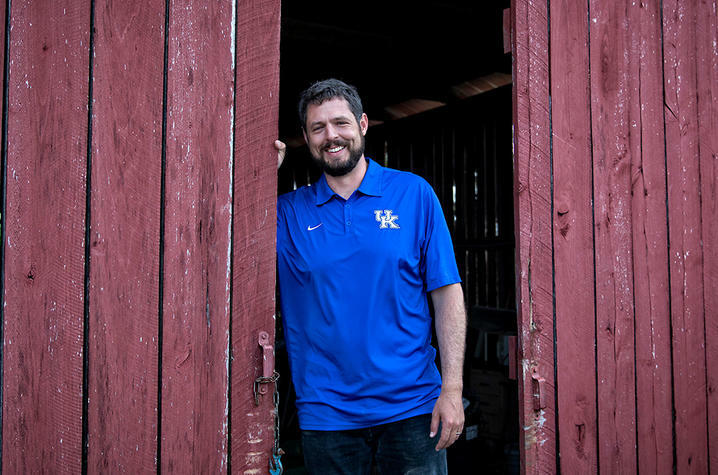 The Danville native said he has utilized the expertise of UK College of Agriculture, Food and Environment extension agents and publications often during the past year. 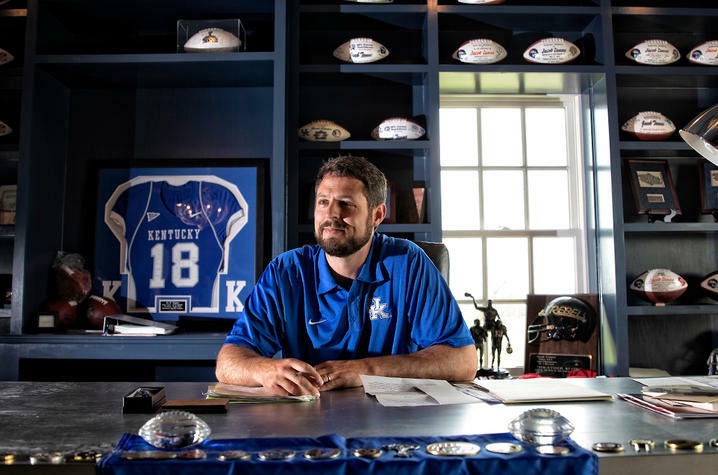 Tamme, who earned a bachelor's degree in integrated strategic communication (ISC) in just three years and a Master of Business Administration (MBA) before entering the NFL, was inducted into the University of Kentucky Athletics Hall of Fame this past weekend. 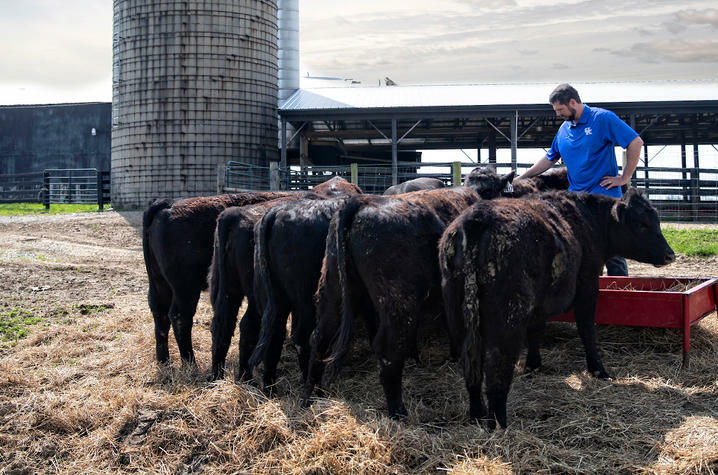 Watch the video above to learn why this University of Kentucky alum says the experience he had as both an undergraduate and graduate student is helping him as he works to achieve his dream of carrying on his family’s farming tradition.